Well speaking of blessings, I am on the homestretch to Capstone. My poster is done, my abstract is done and my thesis is in the final stages of editing. I have had some time to play here and there. 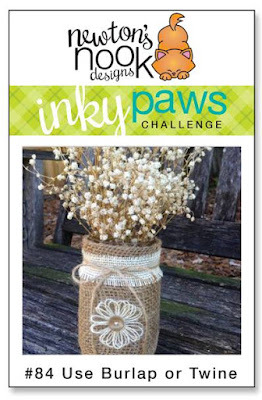 The challenge this week at Inky Paws is to use twine or burlap on your cards. This week I decided to use twine. I stamped and colored Autumn Newton. 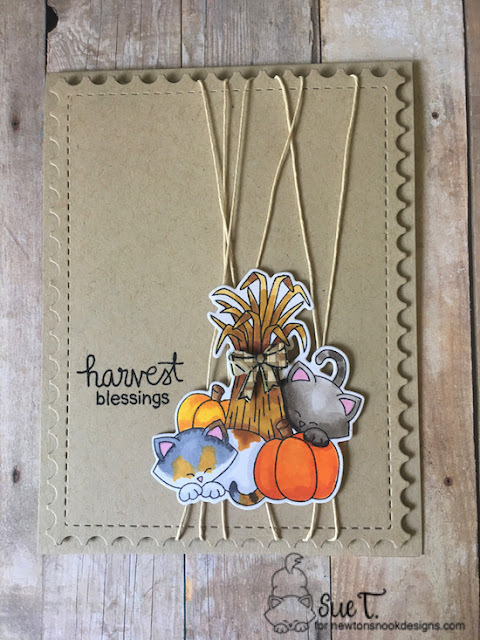 I attached the image to my die cut card base with some foam tape. The twine wrapped around my framework die base perfectly. Did you notice the burlappy kinda bow on the wheat sheath? Head on over to Inky Paws and join in this fun theme challenge. 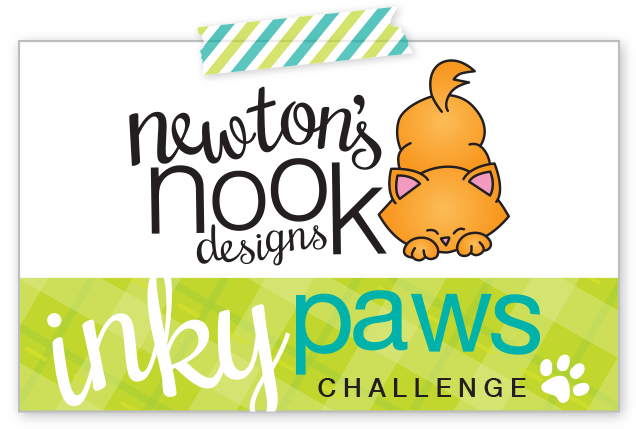 We will chose a RANDOM entry to win a $20.00 Newton's Nook store gift certificate. 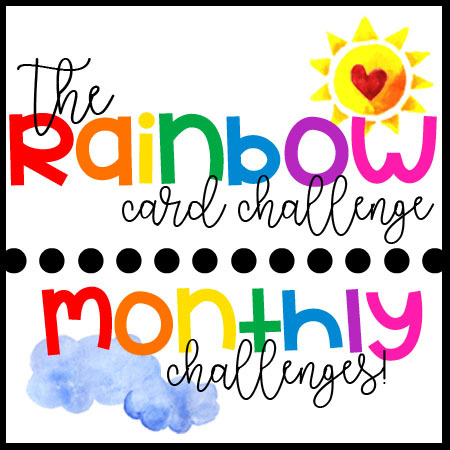 Our favorite entries from each challenge will be highlighted the following Monday, so all entries have a chance to be featured on the blog. 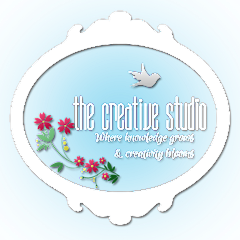 The deadline to enter today's challenge is Friday November 9, 2018, at MN CST. 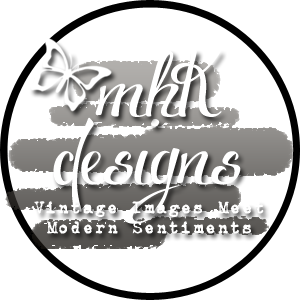 The winners will be announced on the following Monday at Inky Paws. This is so cute! 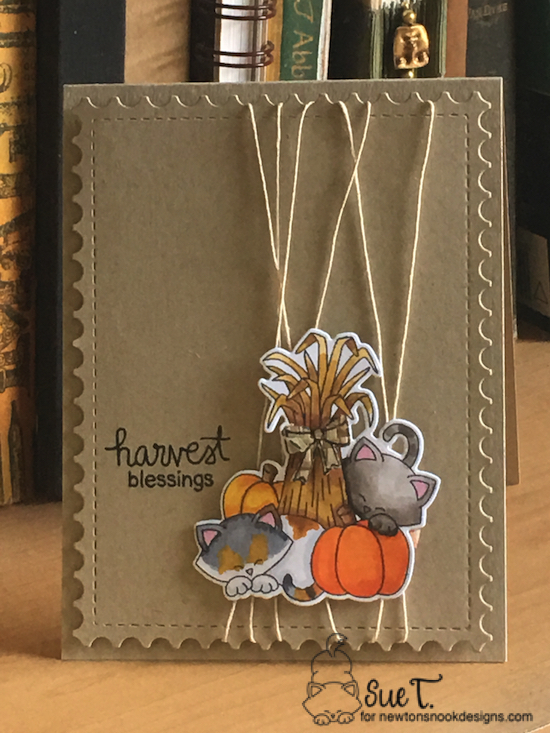 I love the way you colored the kitties and that bow is awesome! Is candy corn a free food?